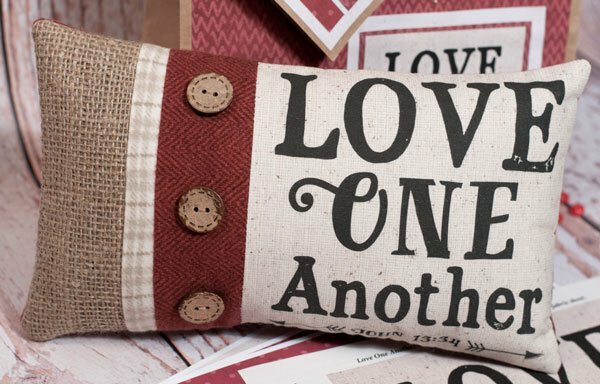 This is a free pattern for you to download and use to make the Love One Another Pillow. It's made by printing the graphic to an EQ Printables Inkjet Fabric Sheet, and then sewing together with your choice of fabrics! Super simple! Want to make a coordinating gift bag for your pillow project? 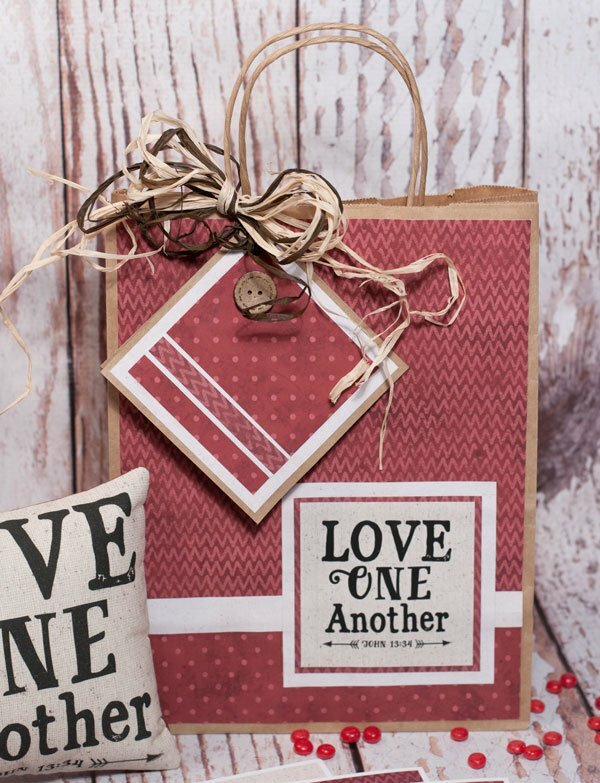 Kelly designed three patterned papers that you can download, print, and cut to embellish a kraft handled bag and a card like the one shown below. Use the papers any way you like! You can also print the patterned pages to EQ Printables Inkjet Fabric Sheets and use for sewing and quilting projects!